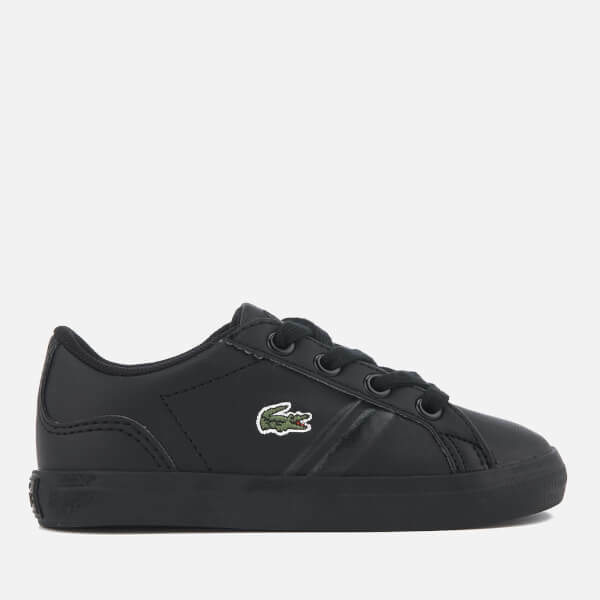 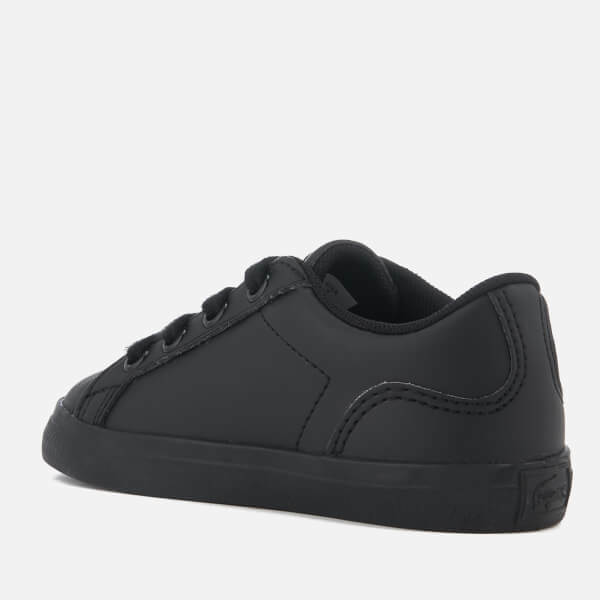 Toddlers' ‘Lerond’ black low top trainers from Lacoste. 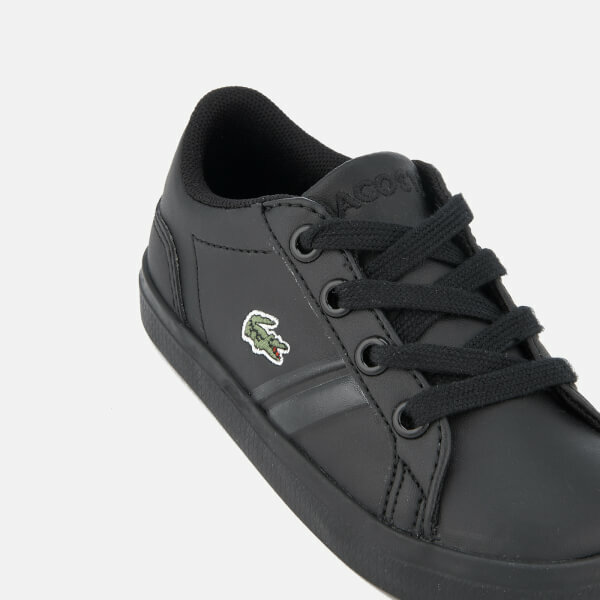 Fastened with flat black laces, the sneakers are detailed with a signature embroidered crocodile logo on the outer sides, glossy side stripes and tonal metal eyelets. 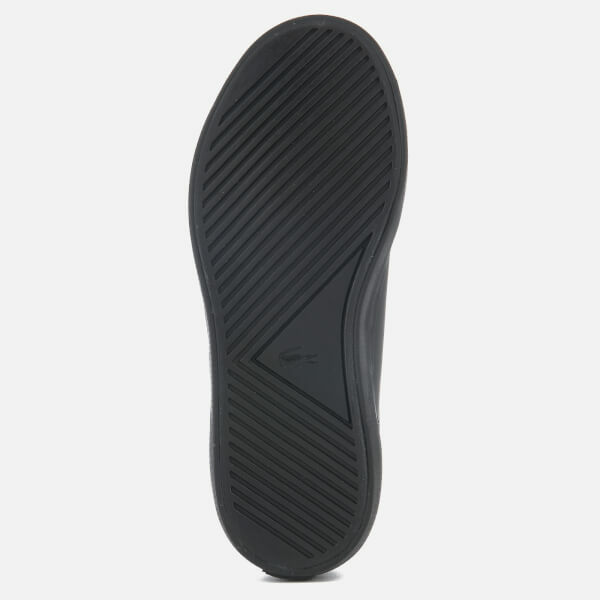 Set on a tonal rubber sole, the trainers feature a textured outsole for added grip. 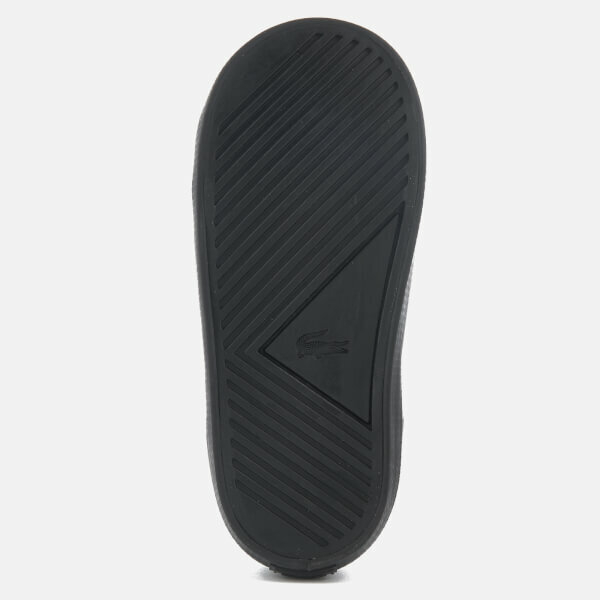 Complete with padded OrthoLite insoles for comfort, signature brand embroidery to the tongue and a logo licence plate on the heel.